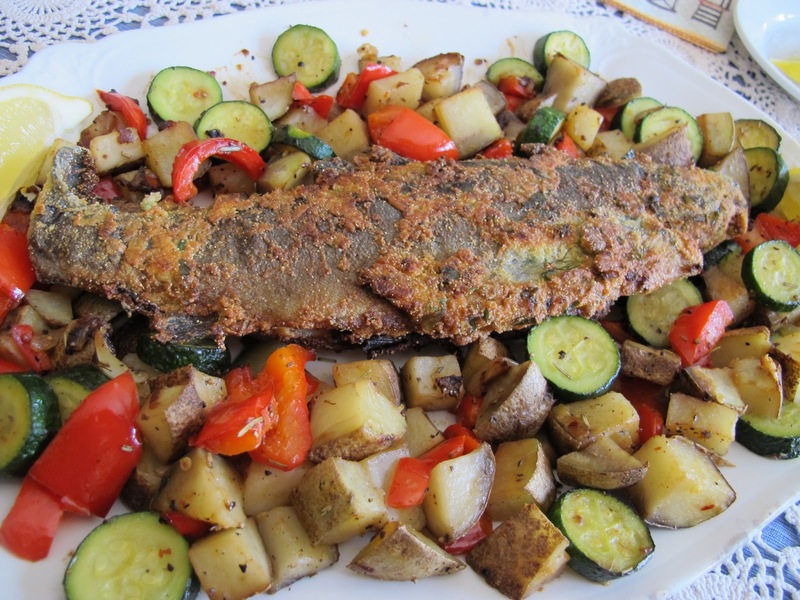 Skip the quiche this Easter and fry up a tasty rainbow trout to go with your eggs and a big platter of potatoes with peppers and zucchini. While this is a lovely and not too time-consuming brunch (no do-aheads), it necessitates planning and … well …and doing things in approximately the order (see below), as fish waits for no one. Servings: One fish will serve two people generously. 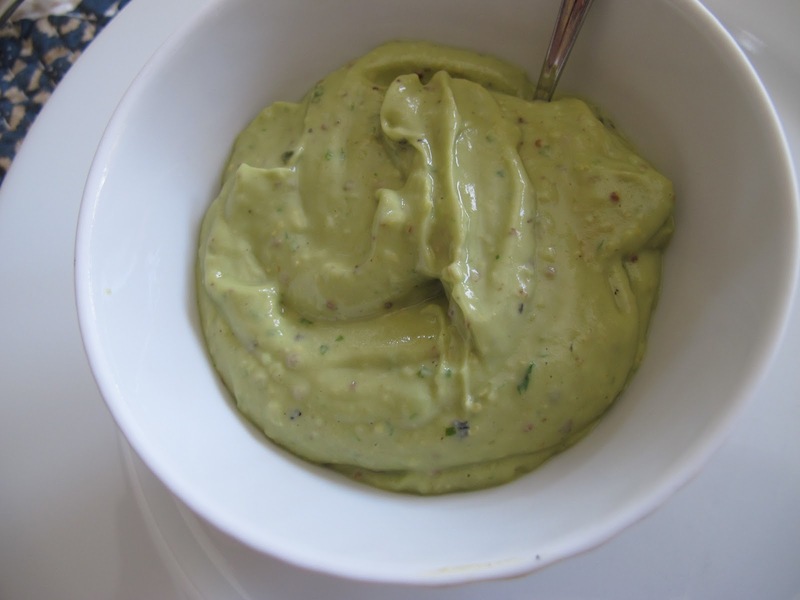 There’s plenty of Avocado-Basil Mayonnaise and potatoes for four. If you do have four, you’ll need to buy two trout and cook one, putting it in the warming oven while you cook the second. Alternately, each of the four of you could have a small serving of the single trout. With the eggs, it’s a filling meal. 1. Make the coffee. You’ll need it. Take four eggs out of the frig. 4. Slice half a lemon and put on table. 6. Set up toaster with bread, but don’t push down yet. 8. 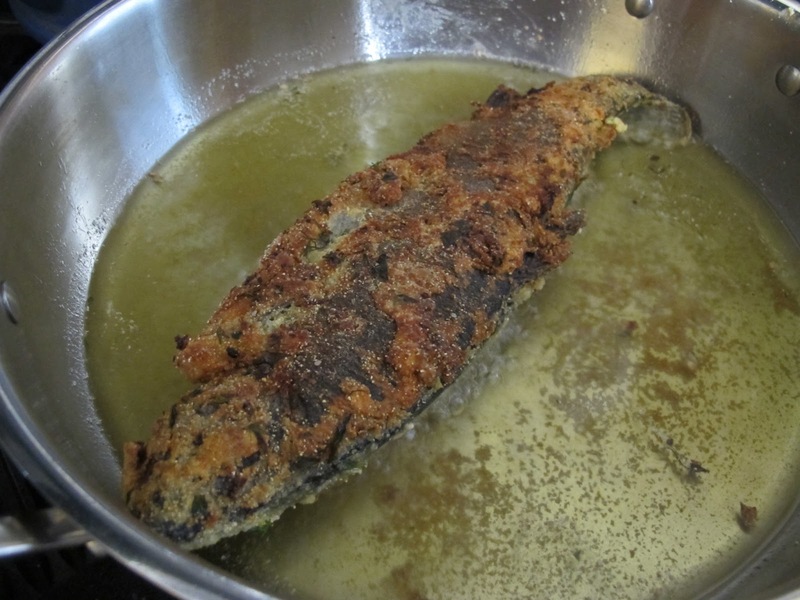 Heat oil in skillet to fry fish. 9. Set up skillet for eggs; melt butter. Turn off. 10. Fry fish. * When you turn it over, start the eggs and push down the toast. A helper at this point would be nice. 11. Pour coffee. 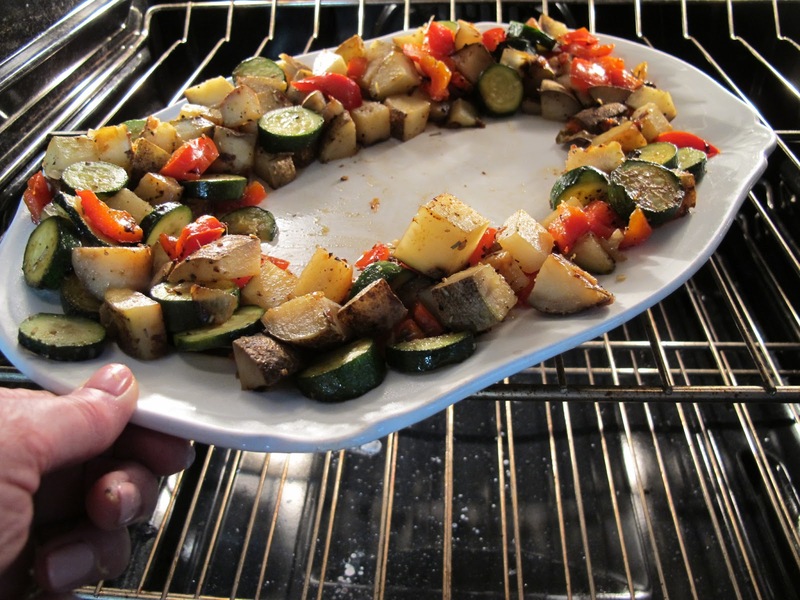 Bring oven vegetables out and place on platter. 12. Drain fish on a paper-towel lined baking pan or platter. 13. Gently place fish on top of hot potato mixture. 14. Butter toast and serve up eggs. 15. Enjoy it while it’s hot served with the Avocado-Basil Mayonnaise. Makes about a cup. Refrigerate leftovers well-covered; use for vegetable dip or salad dressing. Place potatoes in a microwave safe container with a splash of water, cover tightly, and microwave at full power for three minutes. Drain. Heat oil, butter, crushed red pepper, and rosemary in a large, deep skillet over low heat for a minute or two. Pour the drained potatoes, red bell pepper, and onion into the heated skillet and season well with 1/2 teaspoon each kosher salt and black pepper; raise heat to medium. 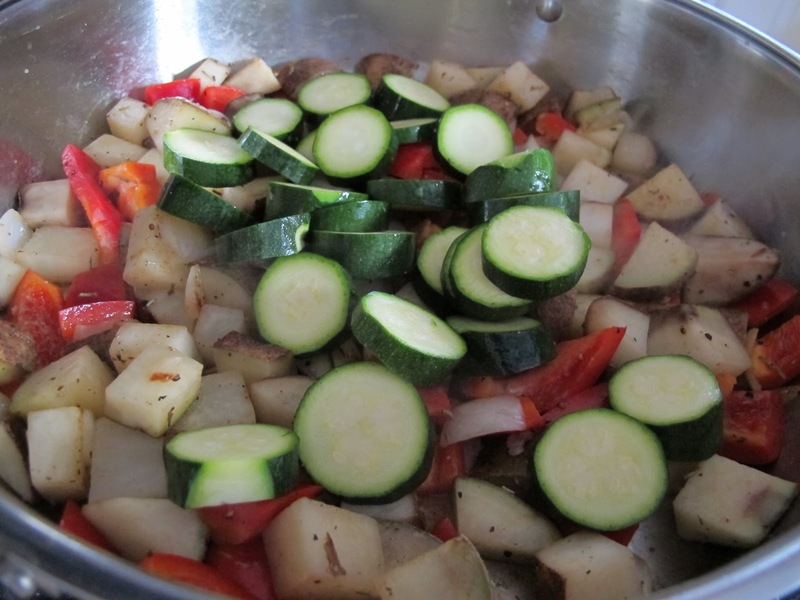 Cook five minutes or until bell pepper is softening; add garlic and zucchini. Spoon in water, stir, and cover. Lower heat again and cook until all the vegetables are tender. Taste and adjust seasonings. Spoon vegetables onto an oven-safe platter or container and place in oven to keep warm while you cook fish and eggs. When trout is about done (after turning over), remove from oven and place on a serving platter if needed. Don’t be scared; he doesn’t bite. 1. 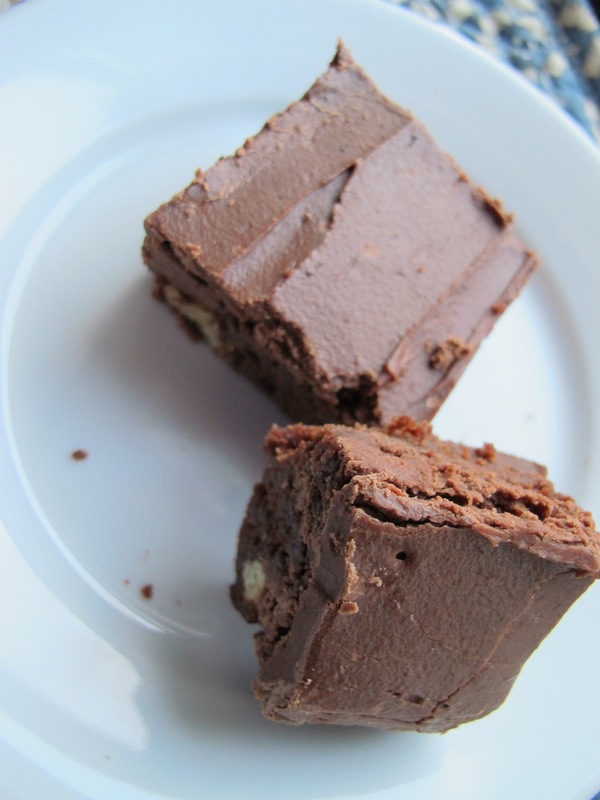 Into one of three shallow bowls, place 1/2 cup flour mixed well with 1 teaspoon salt and 1/2 teaspoon pepper. 2. Into another bowl, place the rest of the flour, the cornmeal, fresh herbs, lemon zest, cayenne, 1 teaspoon salt, and 1/2 teaspoon pepper. Mix well. 3. Into the third bowl, whisk together the buttermilk and 4-5 drops hot sauce. 4. Dip both sides of trout first in the flour-salt-pepper mixture, then in the buttermilk mixture, and last in the flour-cornmeal mixture. Set on plate while you heat oil. 5. Into a large, deep skillet, pour a mixture of olive and canola oil to fill the skillet 1/4 – 1/2 inch deep. Heat over medium-high heat. Gently lay fish in the oil and cook 4-5 minutes or until quite brown on one side. 6. Carefully turn fish and cook another 2-3 minutes or until browned and, when tested inside, fish is firm and flaking. 7. Drain fish on paper towels while you fry four eggs in prepared skillet (no recipe included.) 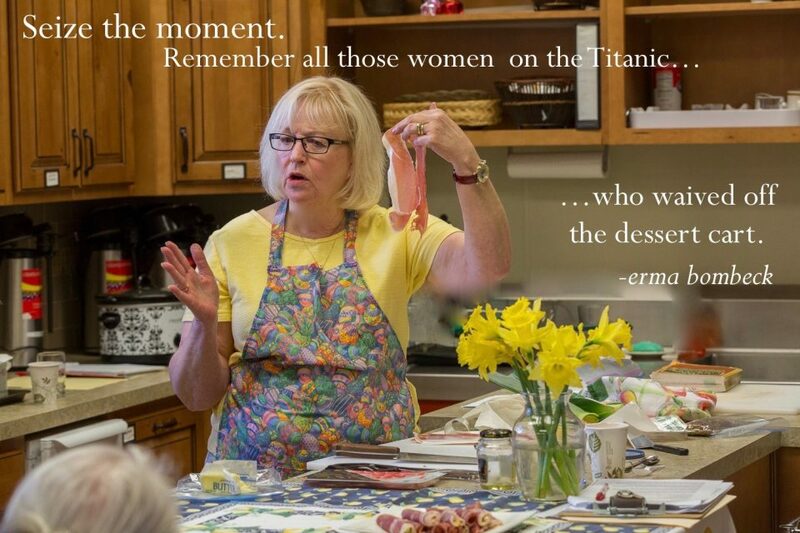 and make your toast. 8. Gently transfer fish to the platter with the warm potatoes and vegetables. 9. Using a sharp, serrated knife and cooking fork, separate head from the body of the fish with a quick cut. Gently pry apart the opened body of the trout to expose the spine, bones, and flesh. Filet by removing as much of the skeleton as possible. 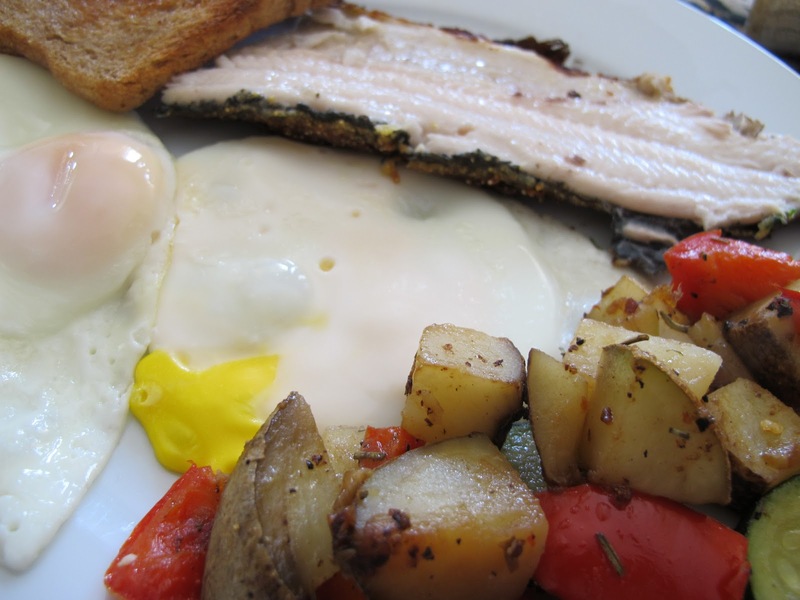 Cut fish in half and serve with eggs, potatoes, avocado-basil mayo, and toast. I leave the tail on for serving. Watch for bones! You CAN also filet the trout before cooking; I think the trout is tastier cooked whole. For detailed trout prep, check this out. 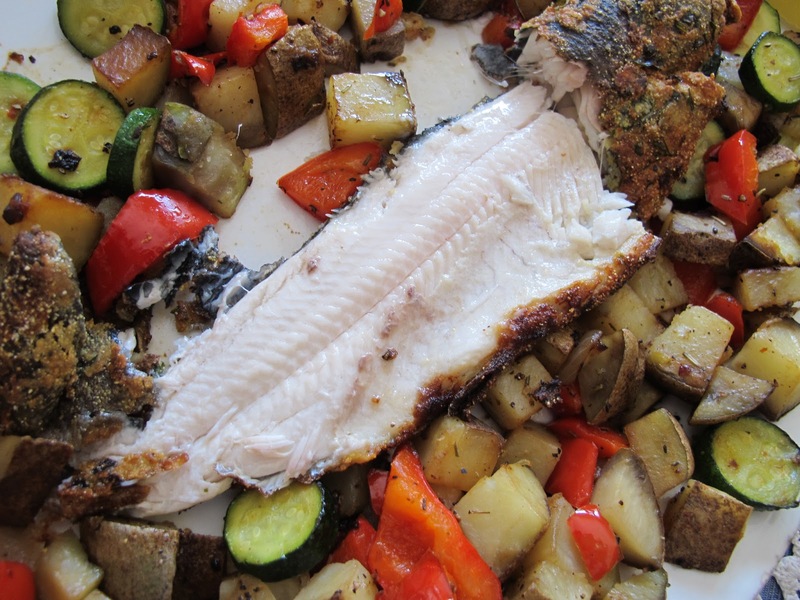 rainbow trout are sustainable native American fish with a beautiful, delicate flavor. To me, they’re the American version of sole, one of my favorites. At about eight dollars a pound for fresh trout, they’re a perfect value for healthy, omega-3s and also have plenty of B vitamins and antioxidants. Racking up a whopping! 260 calories per six-ounce serving (approximate) makes trout a top-value food. Catch them yourself or buy farmed trout at your supermarket or fishmonger. Alyce,It all sounds so fresh and yummy!